As the final days of 2017 head towards that blurred and dazed week of Christmas to New Year, I’ve finally gotten the last of my bulk-rescued bulbs into the ground. In the last few weeks I picked up a load of discounted bulbs from my local Wyevale, and also rescued some that were just a few pence in a branch of Poundstretcher. 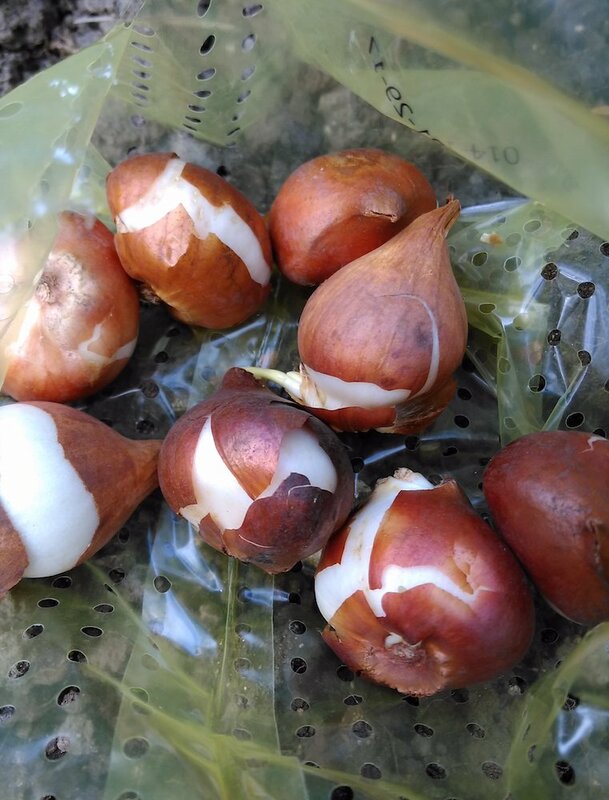 Tulip bulbs in a bag, waiting to be planted out. I know it’s late to be putting these in, but I did the same at my last house, and miraculously the flowers were out at the usual time in Feb/March… plus, if I don’t save them, who will? The snow delayed me in planting these straight out, so today – a somewhat mild Christmas Eve – I was out in the morning with trowel and spade, and setting lots of Tulips, Daffodils, Crocuses, Snowdrops and Hyacinths. Fingers crossed. Some of the bulbs I planted a few weeks ago. I did manage to get a few in a few weeks back, and I inadventantly checked on them today as I dug up what seemed like a good spot, only to discover I’d previously claimed it. 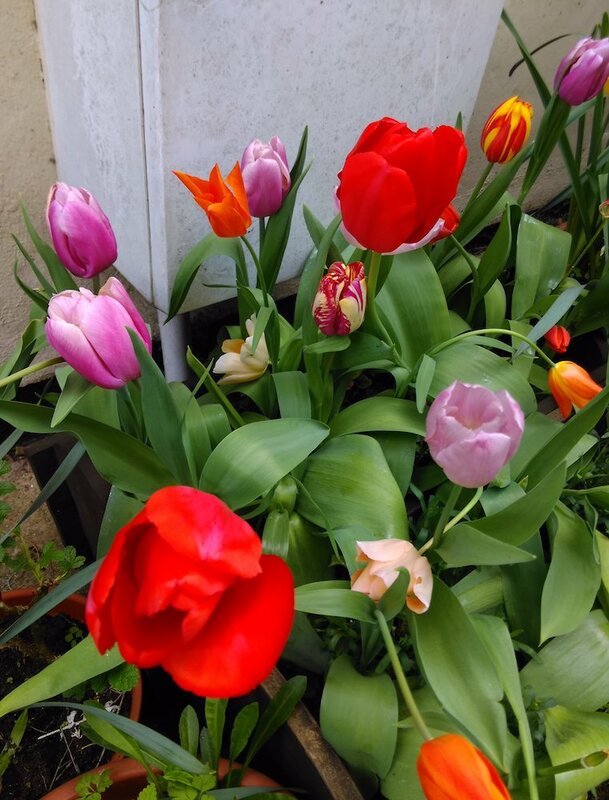 If you can remember from last year, I have a load of tulips and daffodils in pots – I planted them there because I knew I was going to move house. They put on a fantastic show. Elsewhere, the daffodils that I planted in the pots are up by several inches, in what will be their second season with me. 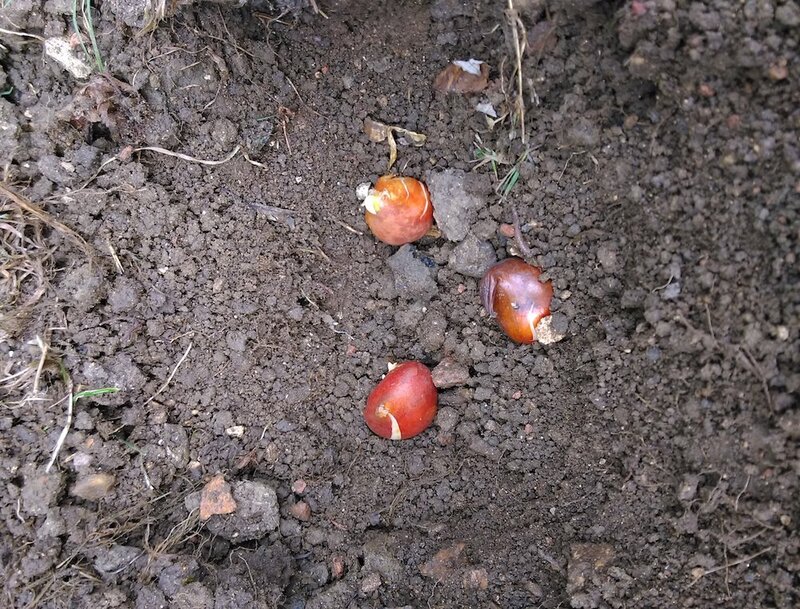 In all the digging that I’ve done in my new house’s garden, I’ve not spotted a single bulb – it was all tired lawn and no borders.. so this introduction of bulbs will be interesting. The soil here is more clay than my previous house, which itself had a shady garden, so it will be interesting to see how they fare. If only half of them come to anything, then it will still have been a bargain. I hope the rest of the ones in the shop found a home rather than a bin. I’m really looking forward to the cheery flowers in the spring. The flowers from snowdrops and crocuses are really important for bees as they emerge from their hibernation. Tulip ‘Gorilla’ and ‘Red Impression’ should offer some colour to my garden from Spring 2018. 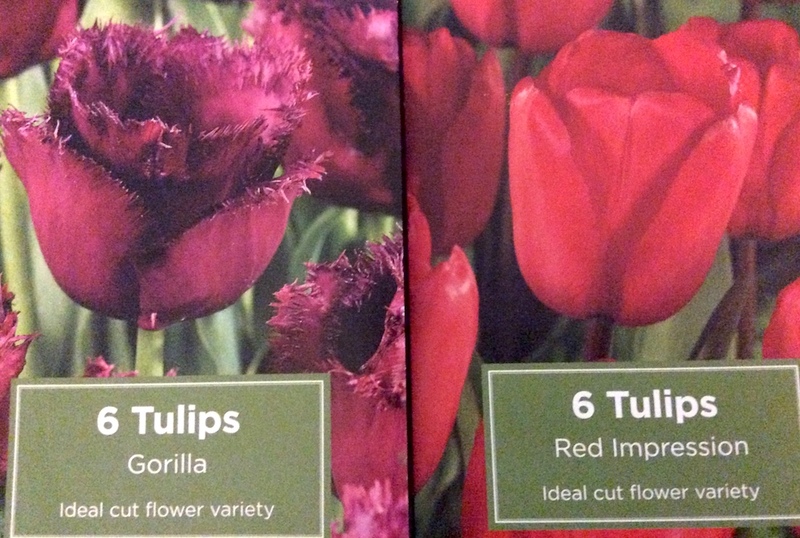 I’m particularly looking forward to checking out the new Tulip ‘Gorilla’, with it’s deep frilly burgundy petals, and the bright red of Tulip ‘Red Impression’. Now, with my feet up, cat on my lap, the Christmas tree lights twinkling in the corner, and a nice hot cup of tea, it’s time to sign-off for Christmas. Have a wonderful end of year break, and I’ll be back in 2018 with more adventures in gardening Cambridgeshire.